Sublime Point Track. On of the best south coast bushwalks. I only heard about the Sublime Point Track this year and I’m glad I did. 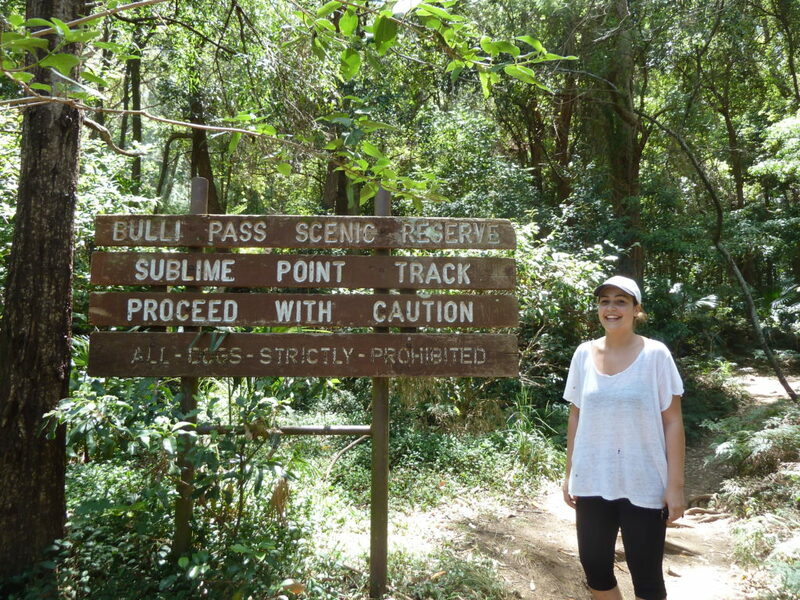 This was one excellent bushwalk. You can start from either Stanwell Park Or Austinmer. I decided to park the car at Stanwell Park station and start from there. With the idea of getting the train back once I got to Austinmer. The Wodi Wodi track is just behind Stanwell Park station. It’s well sign posted so hard to miss. Take this track down to the forest path. Following Forest Path all the way to the Sublime cafe. This is a great place to grab some lunch. The next bit was my favourite part. The hike down from the Sublime Point lookout to Austinmer was sensational. Extremely steep with lots of steps but an extremely nice walk. It’s only about 1 km and this section seems very popular. This bushwalk is on the hard side but I highly recommend it. Plenty of different scenery to see along the way. Directions to Sublime Point Track. You can start this walk from either Austinmer or Stanwell Park. Google maps link for Austinmer, at the end of Footshill Rd. Google maps link for Stanwell park. Google maps link for Stanwell Park station. I started the Sublime Point Walk from Stanwell Park Station. The Wodi Wodi track is directly behind the station and is clearly marked. The plan was to finish the Sublime Point Track Walk at Austinmer and take the train back to Stanwell Park station. I didn’t realise the trains run every 2 hours on a Sunday and I just missed one. I had no intention of waiting for 2 hours for the next train after a 15km bushwalk so got a taxi back to Stanwell park. It was $35 and I was more then happy to pay it then enjure the wait.